R Madhavan Talks about his Next 'Pilot' Project, A Biopic and Tanu Weds Manu 3! 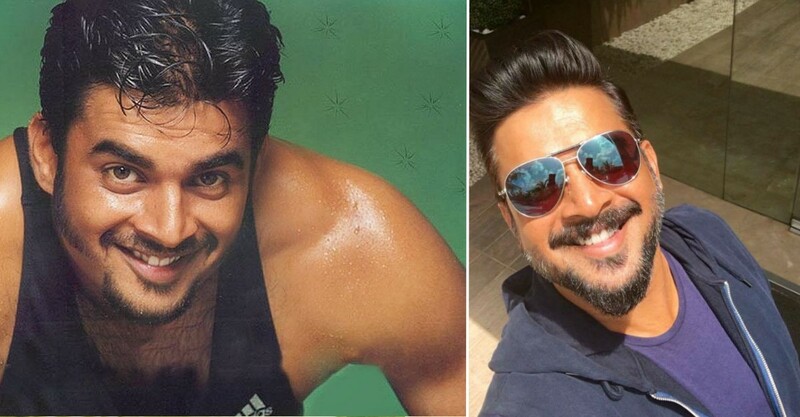 R Madhavan who was last seen in 'Saala Khadoos' in the year 2016. He gave some amazing films which include 3 Idiots, Rehna Hai Tere Dil Mein, Rang De Basanti and not to forget Tanu Weds Manu series. Now, he is gearing up for his upcoming flick, 'Chandamama Door Ke' in which he will play a pilot. The movie directed by Sanjay Puran Singh is his debut direction. But playing a pilot is not new for Madhavan as he has been a pilot in Rang De Basanti and Sea Hawks which is a TV show. The film also stars like fine actors like Nawazuddin Siddiyui and Sushant Singh Rajput. When asked about his film, Madhavan said, "It is too early to talk about my role in the film. I play a pilot, and this is one of those films I am extremely excited about. Also, it’s good to work with Sushant and Nawazuddin, as they’re both extremely talented." When asked about 'Tanu Weds Manu part 3', he said, "What, really? There is not even a germ of an idea that I am aware of. How am I supposed to confirm something I have absolutely no idea about? The problem with me is that like a typical Gemini, I get bored very easily. Having said that, I am yearning to work with the Tanu Weds Manu team once again. But unless Aanand offers me a triple role, I don’t think that will happen." Apart from 'Chandamama Door Ke', Madhavan also shared his views about his other biggest project which will be a biopic. He is excited for it and is working on it for the past 4 years. He said, "I have been working on this for the past four years, and now, I can proudly say that things are being finalized. It’s an extraordinary story of an unsung hero and it deserves to be told. It will go on floors this year, but let me tell you that the biopic is not on any sports person or an actor’s life.